Rigorous performance engineering traditionally assumes measuring on bare-metal environments to control for as many confounding factors as possible. Unfortunately, some researchers and practitioners might not have access, knowledge, or funds to operate dedicated performance-testing hardware, making public clouds an attractive alternative. However, shared public cloud environments are inherently unpredictable in terms of the system performance they provide. 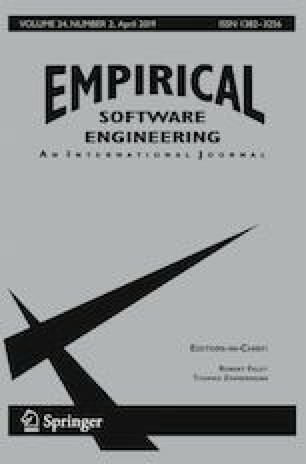 In this study, we explore the effects of cloud environments on the variability of performance test results and to what extent slowdowns can still be reliably detected even in a public cloud. We focus on software microbenchmarks as an example of performance tests and execute extensive experiments on three different well-known public cloud services (AWS, GCE, and Azure) using three different cloud instance types per service. We also compare the results to a hosted bare-metal offering from IBM Bluemix. In total, we gathered more than 4.5 million unique microbenchmarking data points from benchmarks written in Java and Go. We find that the variability of results differs substantially between benchmarks and instance types (by a coefficient of variation from 0.03% to > 100%). However, executing test and control experiments on the same instances (in randomized order) allows us to detect slowdowns of 10% or less with high confidence, using state-of-the-art statistical tests (i.e., Wilcoxon rank-sum and overlapping bootstrapped confidence intervals). Finally, our results indicate that Wilcoxon rank-sum manages to detect smaller slowdowns in cloud environments. The research leading to these results has received funding from the Swiss National Science Foundation (SNF) under project MINCA – Models to Increase the Cost Awareness of Cloud Developers (no. 165546), the Wallenberg AI, Autonomous Systems and Software Program (WASP) funded by the Knut and Alice Wallenberg Foundation, and Chalmer’s ICT Area of Advance. Further, we are grateful for the anonymous reviewers and their feedback, which helped to significantly improve this paper’s quality.